The following is a guest article by Chris Newson, founder of CN Business Consulting Ltd and most recently a Director at Citigroup where he was responsible for research revenue management including research pricing and revenue collection. 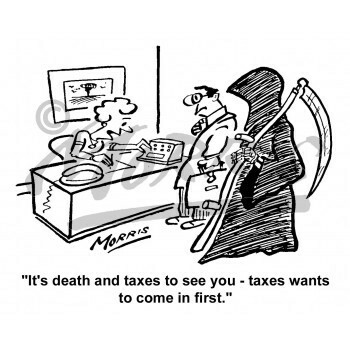 A great man once said nothing can be said to be certain, except death and taxes. If Benjamin Franklin were alive now he would probably add regulatory change to the list and, if he was really feeling cynical, he could add unintended consequences from regulatory change. If you then combine taxes and unintended regulatory consequences, you will not end up with anything good. Back in 2006 when the UK regulators were supporting the unbundling of execution and research and Commission Sharing Arrangements (CSAs), they shared the industry’s concern that the discovery of the research element within the commission payment could interest the taxman. They actually linked arms with the industry and got an assurance from HM Revenue and Customs (HMRC) that CSAs would not lead to the collection of VAT on the research component. One credit crisis and a few major scandals later, it is fair to say the regulators took a more adversarial stance when implementing MiFID II. Very early on, when it was highlighted that MiFID II could result in research being liable to VAT, they shrugged their shoulders and said not our problem. [Editor’s Note: For more background about taxes on research see our previous article Death, Taxes & MiFID II (Update) (subscription required).] The upshot of this was that when MiFID II came into effect, HMRC deemed research to be liable to VAT unless it was paid in a completely bundled way with execution – a method prohibited by MiFID II. Now the industry is struggling with the increased cost of research (VAT being 20% in the UK and at similar rates throughout the EU) and the additional administrative burden of accounting for VAT. VAT is a sales tax and is therefore a tax on the consumer, in this case being the fund manager. However where the provider and consumer are in the same country, the provider will collect the VAT by adding it to their invoice. So for a UK broker providing a service to UK fund manager, the invoice equals cost of research plus VAT and the broker will pay the VAT collected to the taxman quarterly. A UK broker providing a service to a French fund manager would invoice for the cost of research only, the fund manager would then have to account for VAT to the French taxman. So seemingly quite simple for a broker then: you are either in the same country as the fund manager and include VAT on you invoice, or you are not and just invoice for the research cost. Sadly it is not always that simple. How about when a UK broker has a global agreement with a (theoretical) client who has offices in London, Paris, Frankfurt, Tokyo and New York and they want you to invoice their administrative and finance arm based in Bermuda? The invoice is sent to a Bermudan entity so you would not normally include VAT, however you know a large number of users are in the UK therefore shouldn’t you be collecting VAT on service provided to these users? If you do not collect VAT, could you be accused of assisting with tax avoidance? What if the fund manager says don’t worry, we will internally account for all necessary tax – do you have an obligation to check? If the UK taxman finds that insufficient tax has been collected, could they look to the broker to make good, even although the tax burden is effectively on the fund manager? Should the service provided to the French and German users be reported to the relevant tax authorities? If VAT on research was an unintended consequence of MiFID II (unless you believe conspiracy theorists who think the taxman and regulator were in cahoots to raise more revenue from the industry), the complexity and administrative burden are very unwelcome additions to an already stretched workload for revenue management teams. Having become regulatory experts over the last couple of years, they have had to add ‘accounts payable clerk’ and ‘tax expert’ to their CV. The main concern is the potential to inadvertently breach the tax laws. Most brokers have hundreds of clients, the largest have thousands, so the team collecting research revenue cannot know them all. When a request comes in from a client to invoice a Cypriot entity, for example, the team is not going to know if most of the service users are sitting in London without trawling through CRM databases, further slowing down the invoice process. There can then follow some tetchy exchanges where the client wants an invoice with no VAT but the broker is nervous about not collecting the VAT on behalf of the UK users. Most brokers have specialist VAT teams who can help advise, however they are generally just as stretched as everyone else. This leaves revenue management staff — who joined brokers hoping to help improve profitability by working closely with traders, sales and clients — wondering exactly how their job came to contain major risks to the tax authorities. What will be the impact of Brexit on this? Although it is difficult to see many areas that Brexit will not make things worse, this could be one of them. If the UK tax rules remain harmonised for some time, there should be no change. If they do not, then the UK rules on VAT could diverge but either way, it should remain that a UK broker only must collect VAT on UK to UK business. Maybe in a post-Brexit world, the UK taxman might be more aggressive in ensuring they do collect all possible VAT. 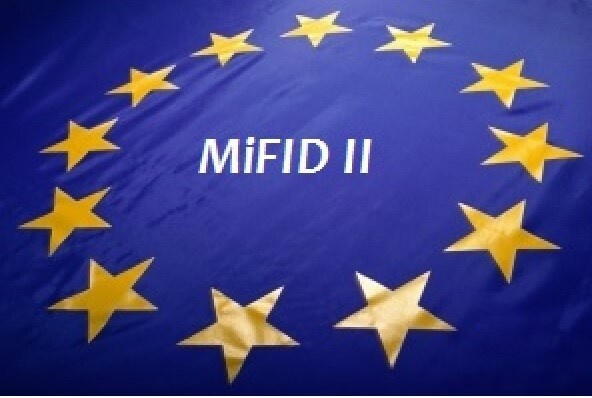 MiFID II remains the gift that keeps on giving, the implications of research now being liable to VAT in Europe goes way beyond the increased cost and has introduced a major administrative burden as well as significant risk of falling foul of the tax authorities. It would be interesting to see how much of this was taken into account in the FCA’s cost benefit analysis regarding the implementation of MiFID II. The answer is probably yes to all of these questions, although the extent of checking where a client has represented in writing that they will account for tax would not be that great. However due to the complexities, always get tax advice from an expert. Chris Newson trained as an accountant before working for the UK financial services regulator. He then moved to the business side and has over 25 years’ experience in managing research payments for both the buyside and sellside working at prestigious companies such as Janus Henderson, Fidelity Investments, Bank of America Merrill Lynch and Citigroup, gaining a wealth of varied experience. In the UK, he is one of a very small number of people with extensive buyside and sellside research payment experience, including running the research team budget and managing broker relations at Fidelity, setting up investment operations and running market data at Henderson and negotiating research prices with hundreds of clients for Citigroup.. Chris has now set up CN Business Consulting Ltd and is using his intrinsic knowledge of how the fund management and broking industry work, as well as his wide network of contacts throughout London, Europe and Worldwide, to help firms improve profitability and comply with the myriad of regulations now facing them.